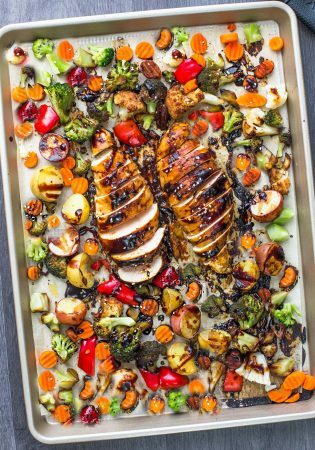 Sheet Pan Kung Pao Chicken is the perfect easy one pan baked meal with all the flavors of the popular Chinese restaurant takeout dish. Best of all, it’s perfect for busy weeknights and simple to customize with paleo friendly options. 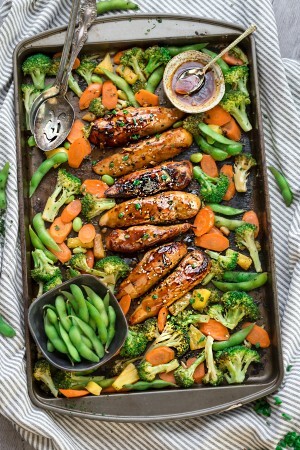 Sheet Pan meals are still ruling at our house. They are just too darn convenient since you don’t have to stir or keep an eye on things like you do on the stove top. Plus if you cover your pan with some parchment paper or foil, it makes cleanup a breeze. 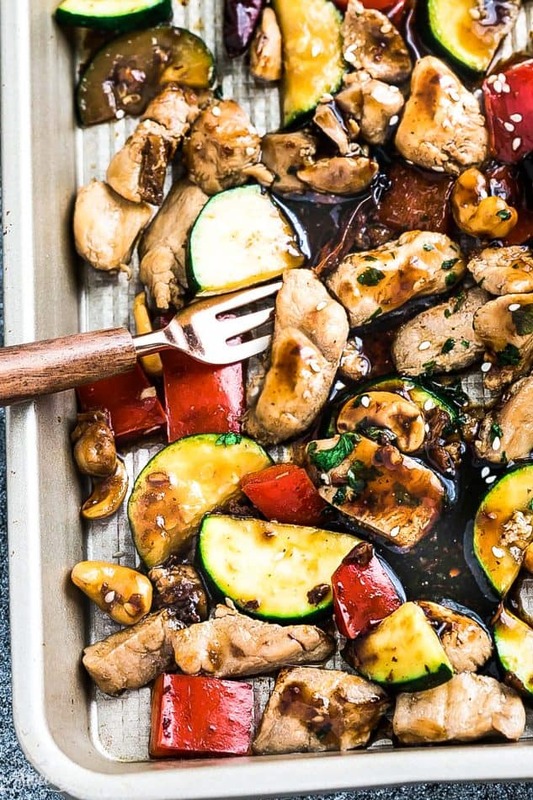 This Sheet Pan Kung Pao Chicken is another fun twist on a popular restaurant takeout dish. 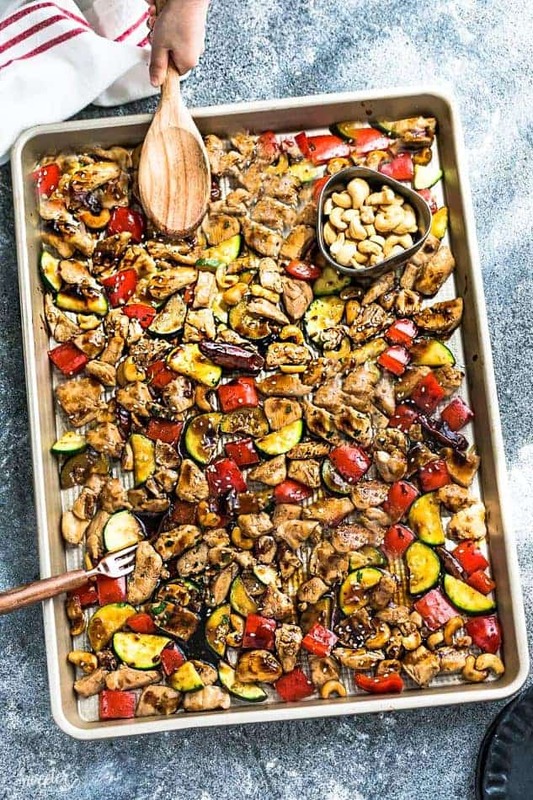 I made it the same day I made this Cashew Chicken Sheet Pan and couldn’t wait to share it here. There’s very little active time so it’s a perfect meal to make on a busy weeknight. 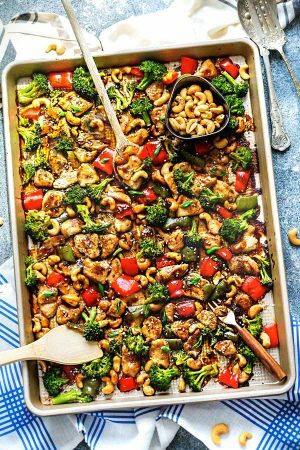 Sheet Pan Kung Pao Chicken is an easy all in one meal with all the flavors of the popular Chinese restaurant takeout dish. Best of all, it’s perfect for busy weeknights and simple to customize with paleo friendly options. 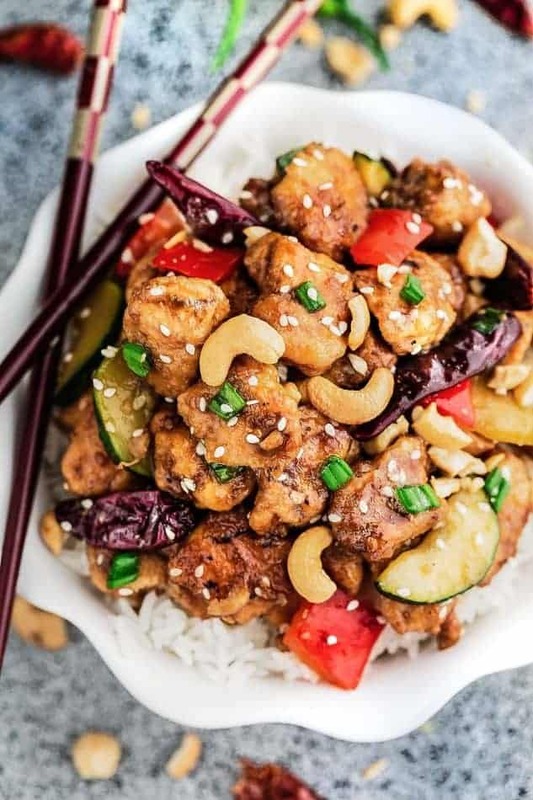 In a medium saucepan over medium heat, whisk together soy sauce, hoisin sauce, honey, red pepper chili flakes, garlic, ginger, cornstarch and water until combined. Bring to a simmer, stirring frequently, until sauce thickens and bubbles. Remove from heat and set aside. For meal prep Make rice, noodles, zoodles or quinoa and divide into lunch containers. 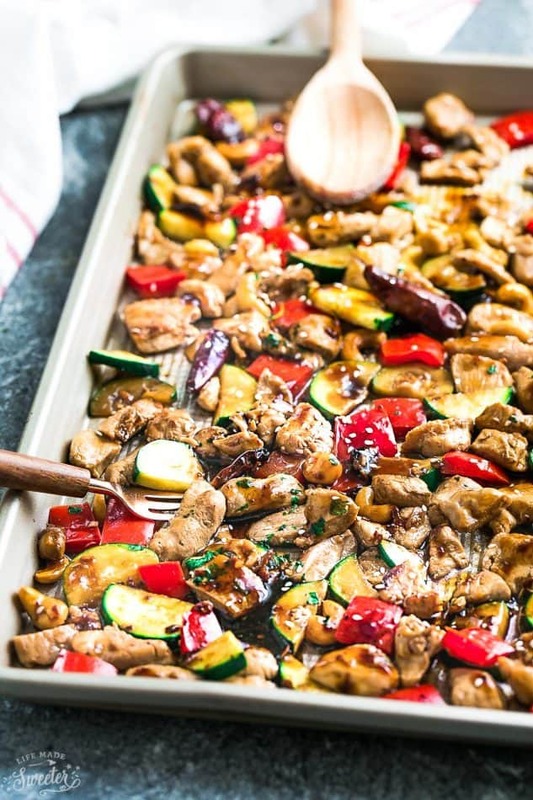 Top with chicken and store in fridge for up to four days.